Car Body Repairs in Barking, Dagenham and Ilford. If you've been in a crash and are looking for an Accident Repair Centre in Barking and throughout the surrounding areas, why not pay a visit to TC Coachworks, one of the region's leading garage and repair centres. 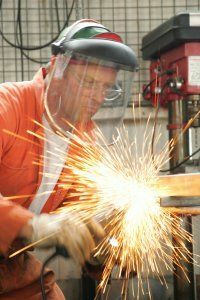 We have a wealth of knowledge and experience within the trade and a reputation that has been built up by providing excellent work for all of our customers for excellent prices. So if you need help with scratch repairs or dent repairs in Barking after an accident, give us a call and see what we can do for you! Commercial Vehicle Body Repairs in Barking, Dagenham and Ilford. We are very proud of our excellent customer service record and our aim is to always repair your vehicle to its original pre-accident condition and ensure that it is fully washed and cleaned for that straight from the factory finish. Crash Repairs in Romford and Rainham. Our car body repair centre in Barking is fully equipped with all of the latest facilities and we are happy to provide a delivery and collection service to our workshop to make it easier and quicker for our customers. Why not click on our main website for more information on our company and our work? Non Fault Accident Management Service offered at no cost to yourselves. 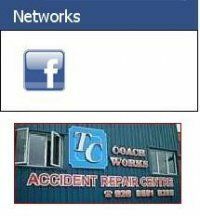 So, for any minor damage repairs in Barking or major car body repairs, come to TC Coachworks. You can reach us through our handy contact form, the main site, or on the information to the side of the screen. To get your car or van fixed and looking like new after a crash, come to our accident repair centre in Barking!